Whether your volunteer's are working in the garden, inside, or around town, it is their kind efforts that make it all possible. 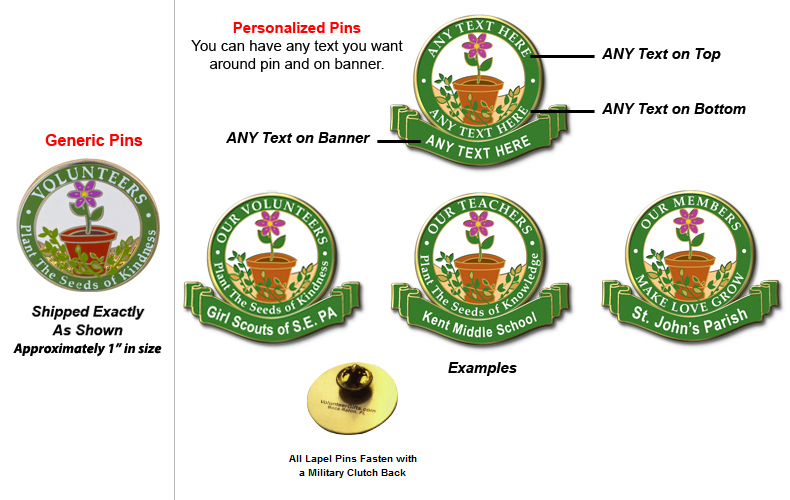 These pins are a wonderful art design that your volunteer's will adore. Great for any recognition event or celebration.